The Bassooniacs performed on Show 213, recorded in February 2010. 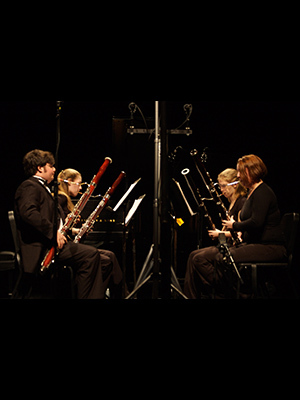 The Bassooniacs are a bassoon quartet comprised of Emily Olmstead, 16, from Westbook, Maine; Emma Shapiro, 17, from North Waterboro, Maine; Debra Egan, 16, from East Waterboro, Maine; and Emily Christensen, 16, from Cumberland, Maine. Coached by Wren Saunders, Timothy Woos will be filling in for Emily Christensen this evening.